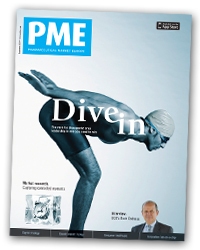 The September issue of PME is out now in both its print and digital editions and this month our headline news is that we’ve redesigned the magazine to pack it with even more accessible intelligence for industry executives. There’s more news - running from top-line developments in market access, sales, research and global health to a newly-expanded Digital Intelligence section. There’s more exclusive industry comment - this month we hear from UCB’s chief executive Roch Doliveux, EFPIA’s Richard Bergstöm and Publicis’ Sam Welch. And we have a special focus this month on sales strategies, covering therapeutic area leadership and a report that lays bare pharma’s diminishing returns when it comes to sales rep access. To add to this PME is now quite literally bigger than ever before, with a new wider format whose pages give our news, comment and analysis even more impact. So, what do you think of the new look? We’d love to hear your views, so please take a few minutes to answer our short online survey. 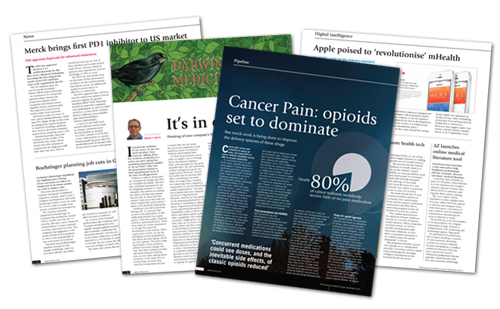 And if you don't currently receive PME on a regular basis you can subscribe to the print or digital edition - or keep up with pharma news on a more regular basis via our PMLiVE Daily or Weekly email newsletters. Should religious or moral beliefs influence a doctor’s decision? Will this highly efficient pharma market be hindered by its price referencing system?